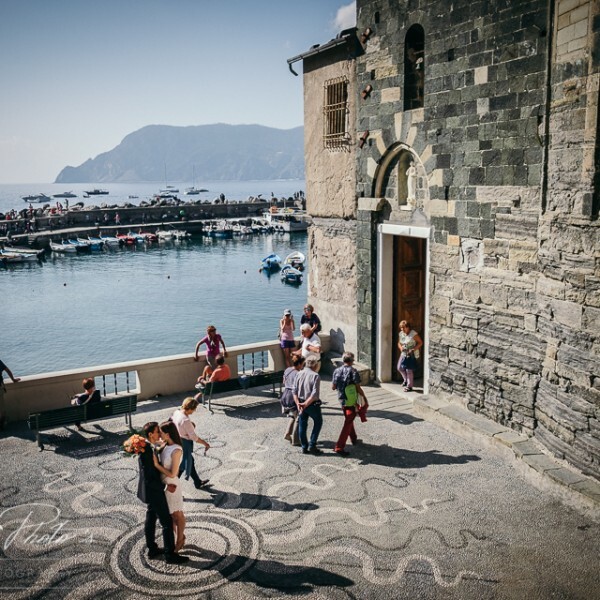 How can you pay your services in the Cinque Terre? Cash is still pretty much loved by the Italians, so do not be surprised if a restaurant, a rental owner or a store asks for cash. But you can find ATM Machines all over in Italy, even in the small Cinque Terre villages. There are ATMs in all the airports (Pisa, Florence, and Rome) and the train stations so, if you do not want to exchange your currency into Euros at home, you can still do it on your arrival. If you’re traveling by train, you’ll probably stop in La Spezia Centrale to get the regional train to Cinque Terre, you can find an ATM machine at the ticket office. This could help you since normally, Italy ATM won’t give you more than 250 euros per day per ATM so if you’ll need more cash, that’s a good practice. There is an ATM and a bank in the main road, Credíte Agricole, a few meters walking down from train station heading to main square. It is the one most people go to draw money so it is very often empty and out of work. You can still use the other two that are located in the upper part of Vernazza, still following the main road but uphill. Carige Bank and the Post Office have ATM machines. They are approx. 300 meters from the train station, just in front of the little square where you can take the shuttle buses that serve the higher level trails. There is an ATM below the Monterosso train station. You can find three more ATM in Via Roma, in the Old Village: Credíte Agricole bank, Carige Bank and the Post office. There’s an ATM machine in the village, right at the exit of the pedestrian tunnel that connects the train station to the village (right in front of Bar Aristide). There is also a little bank turning right after the tunnel approx. 200 meters. There’s an ATM machine in the main square, right opposite the shuttle bus stop. Many places accept Mastercard and Visa circuits credit cards but not all. American Express and Diners are very seldom accepted. Keep in mind that for small amounts like coffee, breakfast, pastries. In Italy is not so polite to pay with credit card and usually store accept cards from 15.00 euros up. And often business owners say that the machine is not working so always bring a bit of cash with you. Please, note: before travelling to Europe and Italy call in advance the credit card company or companies you intend to use. Usually cards have anti-fraud plans and they might be blocked by your bank with lots of troubles for you.